When you’re running your own business, there are so many things to manage. And like most business owners, you want to give your venture every chance to succeed. That’s where your brand comes into play. 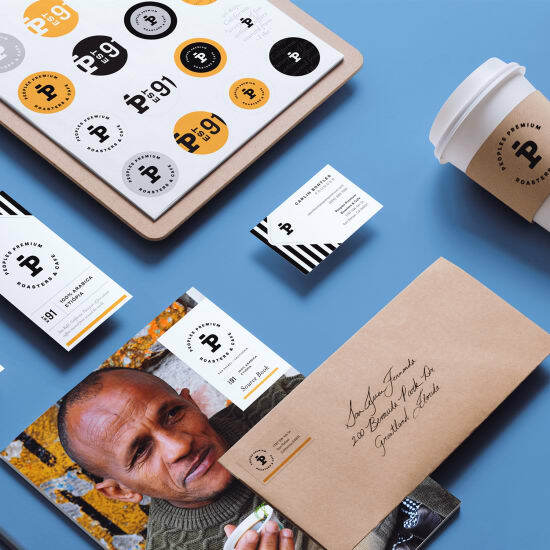 Create a coordinated look on all your business materials to reinforce your brand. Your brand represents what your company stands for and what it does. It’s the consistent voice of your business. And it should create a relatable, emotional connection with your target consumers. Avery gives you the tools you need to build your brand without a huge investment. Create your own product packaging labels, promotional cards, custom shipping labels and a whole lot more. Make your tasks easier with Avery, so you can bring your business to life. 1. Establish your business identity. There’s a lot of competition in the marketplace. How will you stand apart? Your brand personality and image should appeal to your consumers and communicate how your business, and products or services, can make their lives better. It should be authentic, represent your values and set your business apart from the rest. Consumers are a tough crowd. They say you have one chance to make a good first impression. Use your brand to visually grab attention right from the start. Create custom designs by adding your logo or tagline to your product packaging, promotional postcards and other business materials with our free software, Avery Design & Print. Then, print a small batch from your printer to see how it looks. When your trial run meets your approval, you can choose to have our professional printing service, Avery WePrint™, print larger quantities for you. No muss, no fuss and satisfaction is guaranteed. 3. Make your brand work for you. Nobody said running a small business is easy. So make sure your business materials are working just as hard as you are. Carrying your brand across your product, marketing and business materials conveys a professional look and feel. From custom labels on your shopping bags and shipping boxes, to thank-you cards and loyalty cards tucked inside, right down to the actual product packaging, your brand reinforces your business to your customers. People who connect and relate to your brand will turn into your most loyal customers. Use your brand effectively, and it can create value to your business.